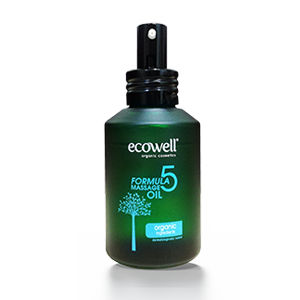 Formula 5 ingredients are a combination of intensive premium oils with a plethora of benefits for the body and mind. From relaxation to rejuvenation, this unique massage oil is the only massage oil which combines 5 incredible ingredients in one. Enjoy the benefits of immense therapeutic value from each precious ingredient. i. Jojoba oil has antibacterial properties, is very well-absorbed and effectively treats back acne leaving your skin feeling refreshed and energized after the massage. It speeds up the recovery process and make your wounds a lot less uncomfortable. ii. It has a very high Vitamin E content and is antioxidant in nature in addition to oleic acid, which is one of the essential building blocks for healthy skin. iii. Since jojoba oil is hypoallergenic, it will not trigger any sort of allergic reactions and is a major improvement in the health of the epidermal layer of the skin. i. Contains inflammatory and antibacterial properties; effectively reducing pimples and prevents rashes from appearing on the skin. Also quickens the healing process of wounds. ii. Rich in vitamin E, D and B complex which makes it effective enough to reduce scars and other rashes on the skin. iii. Works as an excellent moisturizer and softens skin due to presence of fatty acids along with linoleic acid. iv. Capable of penetrating deep into the pores of skin which helps oil to work from inside the surface of skin and thereby regulating the circulation of blood. v. Effective in the treatment of inflamed and wounded skin. vi. As the oil penetrates deep into the skin, they will produce a detoxifying effect which will keep skin warm and fresh. Sesame oil is also used as a remedial measure for the treatment of certain skin conditions such as eczema and psoriasis. They are also used to reduce various skin infections and improvements in joint pains. vii. Strengthens the body tissues which eventually helps in improving the appearance of skin. viii. Slows down the aging of skin as it prevents the skin cells from oxidation and improves skin rejuvenation. viii. Contains menthol, which is good for the skin because it creates a cooling sensation. It also nourishes dull skin and improves the texture of oily or greasy skin. iv. Inhibits the bacteria that causes acne and reduces the signs of scarring. v. It has antiseptic and antifungal properties and is used to treat various skin disorders such as acne, wrinkles, psoriasis, and other inflammatory conditions. vi. It is commonly used to speed up the healing process of wounds, cuts, burns, and sunburns because it improves the formation of scar tissues. 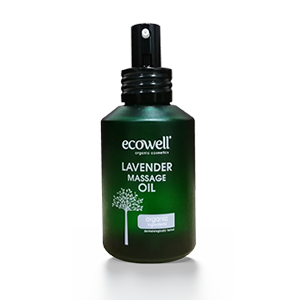 Lavender oil is also added to chamomile to treat eczema. vii. Remedies various types of pains including those caused by sore and tense muscles, muscular aches, rheumatism, sprains, backache, lumbago as well as relief from pain in the joints. viii. Used in the form of vapour or applied on the neck, chest and back, it alleviates respiratory problems including throat infections, flu, cough, cold, asthma, sinus congestion, bronchitis, whooping cough, laryngitis, and tonsillitis. Its vapour also has antibacterial qualities which can combat respiratory tract infections. ix. Improves blood circulation and also lowers blood pressure; alleviating hypertension resulting in organs increasing their levels of oxygenation, promoting muscle strength and health. Boosts brain activity and keeps skin bright and flushed. x. Provides resistance to a variety of diseases due to its antibacterial and antiviral qualities. i. 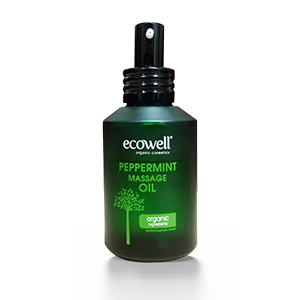 Contains anti-inflammatory properties that help treat muscle cramps, spasms and sprains. ii. It also helps alleviate skin problems. iii. It has the ability to prevent and heal scar tissue. iv. Helps open blocked nasal passages.